After a day of skiing, snowboarding, biking or boating in adventure-filled Lake Tahoe, all you want to do is relax in a cozy atmosphere and enjoy some scrumptious food. On the North Shore in California, you’ll find amazing food and a laid-back vibe everywhere you go. 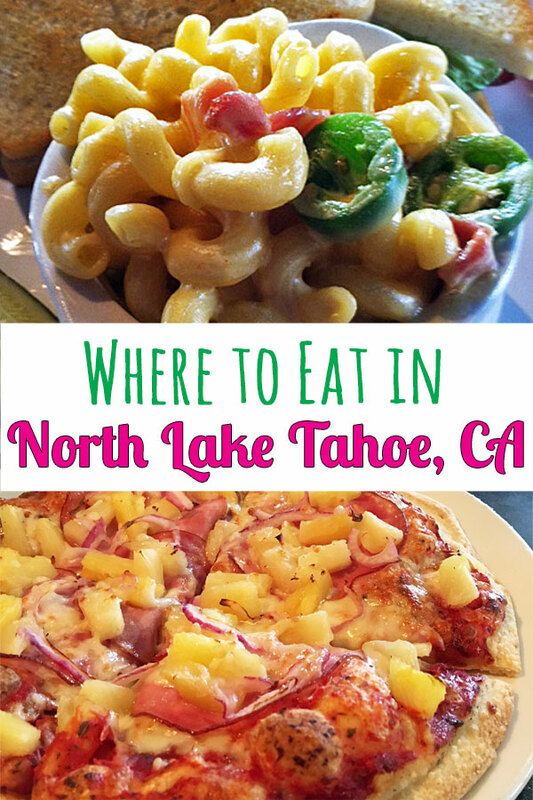 Here are my recommendations for where to eat in North Lake Tahoe. Mountain Nectar, Olympic Village at Squaw Valley. Create your own fresh smoothie from their huge list of ingredients, or order one of their tried-and-true recipes. They also make a killer bacon, egg and cheese on a croissant. Give them a tip and they’ll return in kind with good karma: “Thank you for the tip! You get good karma today – perfect lines and perfect turns all day long!” It makes me smile every time I stop in. I wonder what kind of karma they offer in the summer months? 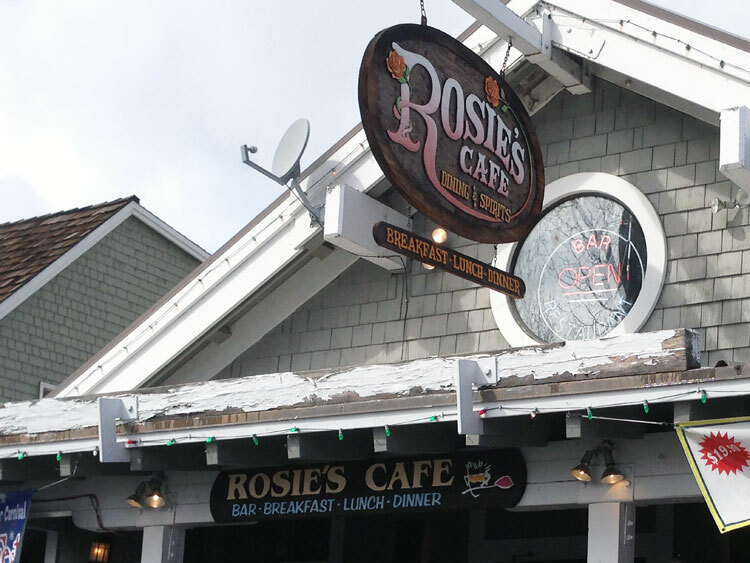 Rosie’s Cafe, Tahoe City. Cluttered with vintage and antique pieces right up to the rafters, Rosie’s exudes character and history. They offer excellent food for reasonable prices – create your own three-egg omelet for $8.50. 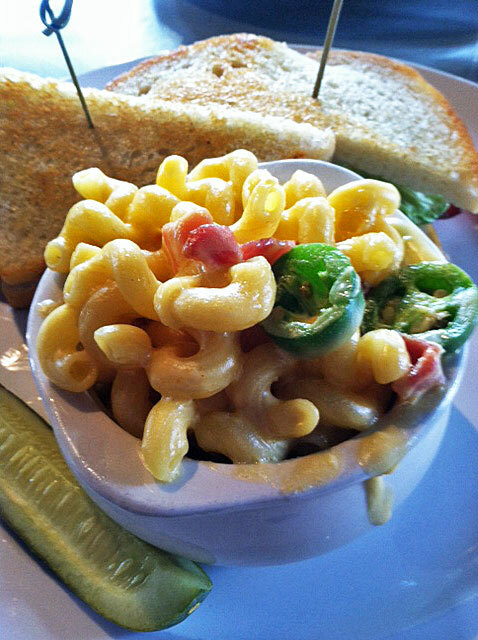 Rosie’s also has a diverse and comprehensive lunch and dinner menu. The Dam Cafe, Tahoe City. This homey little spot near the Truckee River Dam is a favorite of the locals. Their breakfast burritos and egg sandwiches take center stage, but they also offer excellent coffee drinks, smoothies and pastries. Soupa, Squaw Village. Tucked away in a corner of Squaw’s Olympic Village, it’s easy to miss this place. But I’m so thankful I found it. Offering healthy squashed sandwiches, soups, salads and quinoa bowls, Soupa is perfect for a light lunch. My teriyaki chicken quinoa bowl was layered with fresh spinach, red quinoa, perfectly roasted onions, carrots, and zucchini, and the sauce was so tasty, my kids were even chowing down on the healthy lunch. Squaw Valley is where we’ve spent most of our Tahoe skiing time, and I haven’t had a bad meal in any of their restaurants. But these three rise to the top. Fireside Pizza, Squaw Village. My kids ask to go here for the salad. That’s right… the salad. They don’t eat a lot of salad, but something about the flavorful house dressing, the thinly-shaved onions, and the crispy croutons has them asking for this salad again and again. 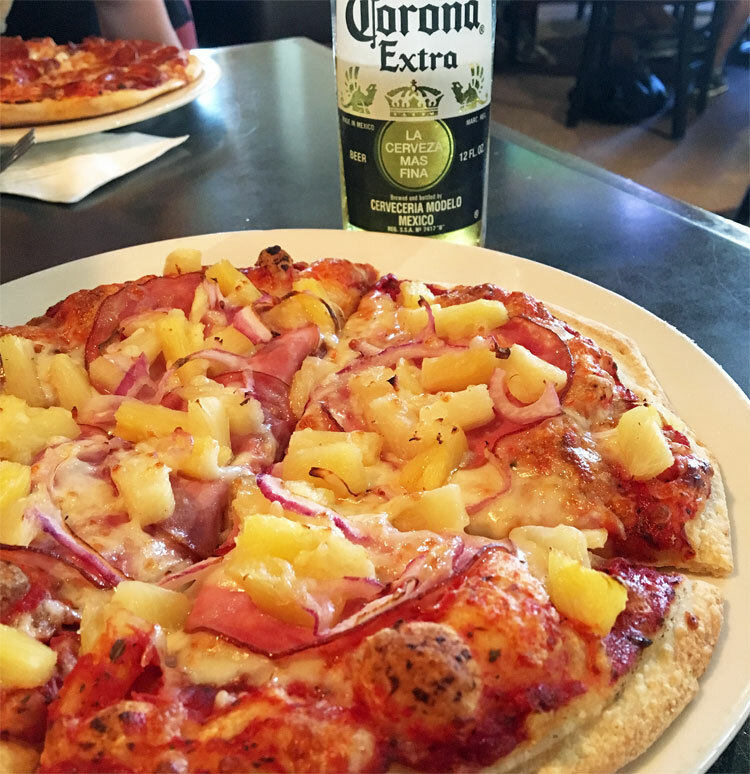 The pizzas are also excellent – order one of their specialties or choose from whatever toppings your like for your own personal pizza. I love the ham and pineapple! The Auld Dubliner, Squaw Village. 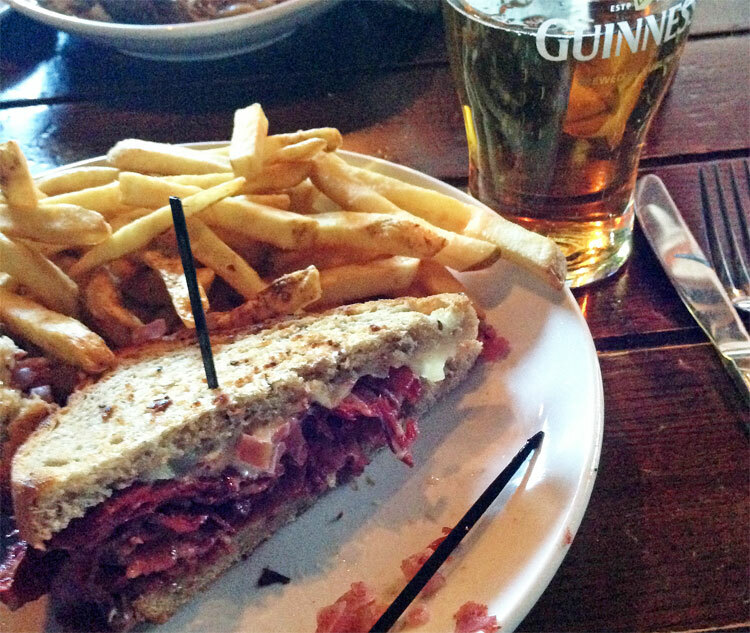 This authentic Irish pub (“imported directly from Dublin, Ireland”) has awesome comfort food sure to warm your belly after a day on the slopes. If their Irish Stew – rich beef stew over mashed potatoes – isn’t comfort food, I don’t know what is. Their traditional boxty dishes are delicious, and their corned beef sandwich – served with melted swiss, apple-onion relish, horseradish mayonnaise on grilled rye – is absolutely out of this world. Tahoe Mountain Brewing, Tahoe City. Located right on the main street in Tahoe City, this restaurant has outdoor seating overlooking City Beach and Lake Tahoe itself. I love the food, the beer, and the vibe. 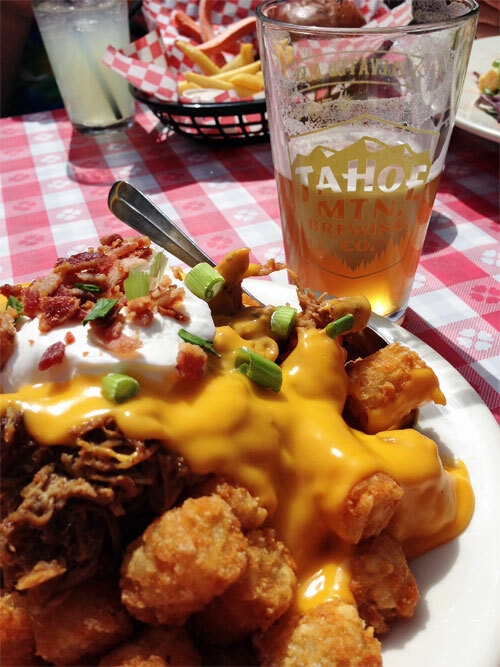 And the Tater Tot Nachos are delicious! 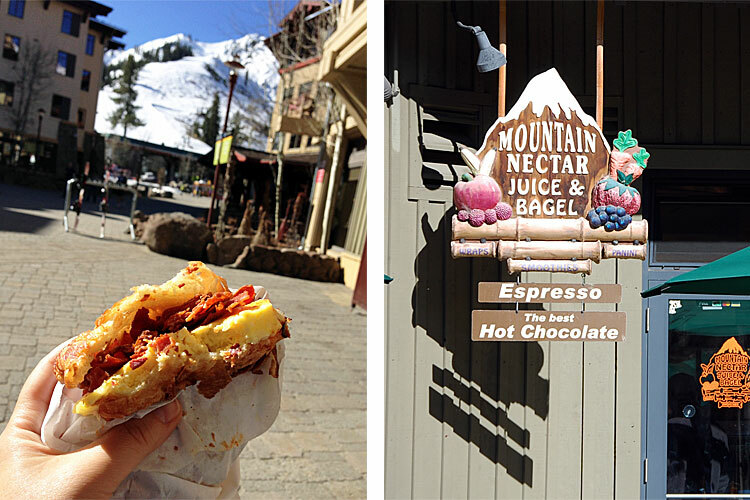 Any of these apres-ski eateries would also be perfect for lunch or dinner. Caliente, Kings Beach. Caliente is at the top of my list of favorite places to eat. The food is outstanding, the drinks aren’t watered down, and the portions are big. Even the non-Mexican entrees (such as ribeye steak and short ribs) are phenomenal. Don’t miss the Spicy Jalapeno Shooters, stuffed with bacon and cheese and served in a shot glass. 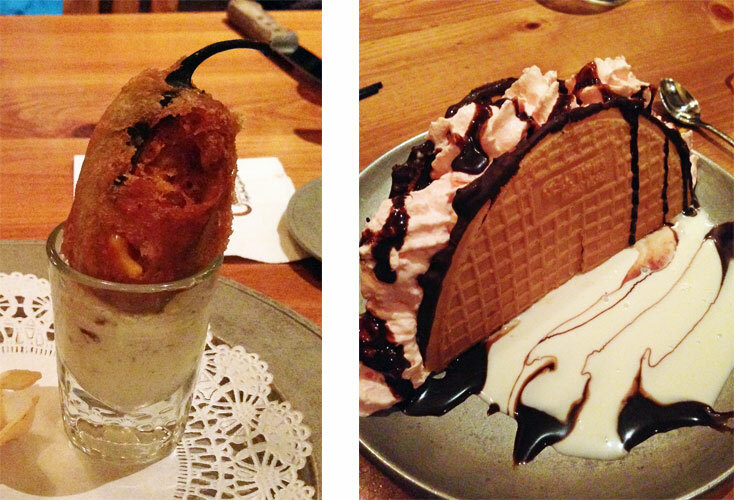 And save room for ice cream tacos or chocolate-drizzled churros for dessert! Jake’s on the Lake, Tahoe City. Jake’s is fine dining right on Lake Tahoe. The view is amazing and so is the food. I started with a warm brie wedge with bacon marmalade and a sliced baguette. I’m actually kinda drooling now thinking about that bacon marmalade. As you can see, there’s no shortage of culinary options in North Lake Tahoe. And there are many more that I hope to explore soon!